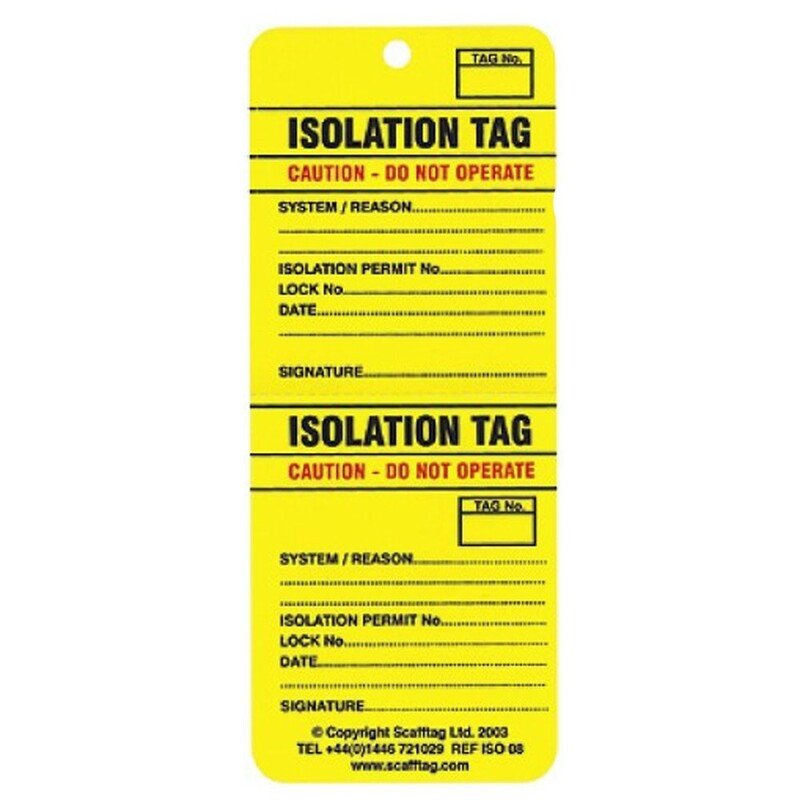 This is a complete tagging system to help control mechanical and electrical isolation procedures. Current operational status is instantly visible to all individuals. Prevents the inadvertent energising of a system, reducing the potential for accidents. Two part perforation allows tag to remain in place whilst permitting authority holds the detached section. Both parts can be consolidated when tasks has been completed.